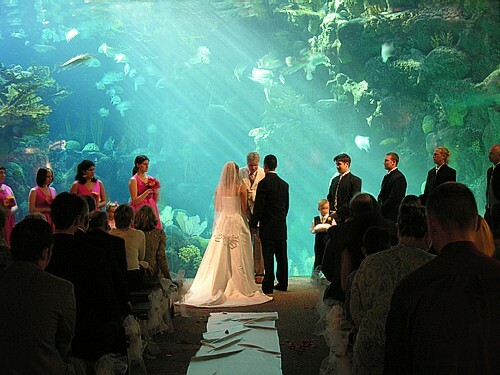 One of the biggest mistakes most couples make in this area of their wedding planning is simply to jump online and search “wedding venues.” While you’ll get tons of bites in your area for wedding venues, you’ll find only the most expensive, extravagant venues available with the most rules, regulations, and restrictions for couples getting married. No worries! 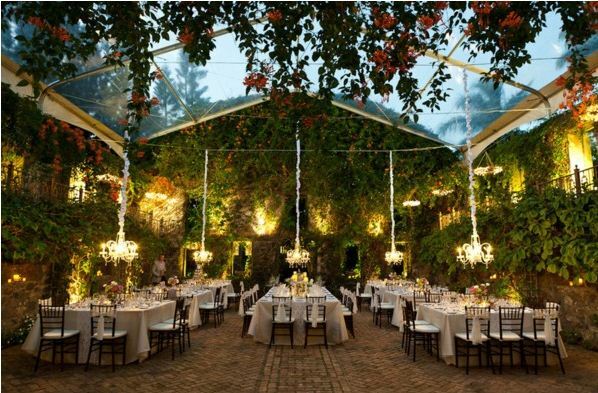 There are tons of great potential venues out there that aren’t typically used for weddings. That’s the key! They’re not “wedding venues” you could find on Google by searching with those terms. You’ll have to be a little bit more creative to find that perfect place. Also consider formality, chosen wedding month, time of day, day of the week, and even the wedding theme. Did you want to get married indoors or outdoors? Do you have a large guest list or a small one? Do you even want to have your ceremony and reception at the same place. By discussing these topics together before the research begins, you’ll save yourself a great deal of time and grief. Your wedding venue truly says a lot about you as a couple. Are you a high-class couple that would be perfect at a Country Club or the Hilton? What about your mutual love for camping? The national forest, a campfire and S’mores might be perfect for your nuptials. If you’re die-hard baseball fans, getting married at your favorite baseball stadium might be the key. But for those monster-truck fans, you might consider getting married at a Rally. Maybe they’d even let you say your I Dos on a monster truck in the middle of the field. There are limitless options for you if you’re really willing to get creative. Don’t let that truly unforgettable location slip past you just because you aren’t willing to step out of your comfort zone and consider other options. Many of those ideas that you might think are impossible could be achieved by making your wedding a destination affair! You could swim with dolphins for your nuptials, get married in the rainforest, on a hike in some of the most amazing areas the world has to offer. If any of these options sound good to you, find them by searching for specific, rather than general terms. Search “gardens”, “snorkeling”, “most beautiful hiking in the US/in the world”, “parks”, “aquariums”, etc. You’ll be more likely to find places that will allow you to get married there this way, and they will likely let you handle all of the vendors. There won’t be many (if any) restrictions, and therefore you’ll probably get to have your event you’re way within your budget. I know National parks don’t charge for anything but parking, if you’re a student at the University they won’t charge you anything, and unlikely places like the bookstore or the coffee shop won’t charge you anything either because they’ve never had anyone ask them. Many of the most unusual places to get married will simply be glad to have the business and the free advertising that you have have it exactly like you want. Keep in mind, unusual doesn’t mean scary, weird or creepy, just not the normal place for a wedding. I once coordinated a wedding where I was able to convince a restaurant owner to let us have the ceremony down below the restaurant on a patch of land by the water (on their property), and then have the reception in the restaurant. It was completely private and definitely unique! Your hopes for having that gorgeous wedding for less than $10,000 can be renewed. It’s actually not that difficult to find the wedding venue of your dreams as long as you can be patient and can think outside the box. Maybe the local country club is out of your price range, but if you’re willing to consider options like a film studio, a pirate ship, a vineyard, an airplane hangar, a farm, a campground, or a library, your choices for your ideal wedding are endless. Public locations like fountains, parks, lakes, dams, waterfalls, and even airports and local baseball fields usually won’t even charge you to have your celebration there due to their being public use areas. Your church may give you a discount for being a member, your college may not charge you if you’re a student and unusual locations like the circus, the Empire State Building, and the local doughnut shop may not charge much because they are so rarely used for weddings. There are so many creative places out there, there’s no reason to limit yourself to those locations the wedding industry so lovingly calls “Wedding Venues.” Feel free to branch out, open your mind and get inventive.